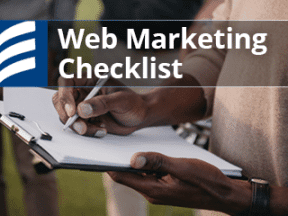 One easy way to add appeal to your website is with free, quality stock photos. There are a variety of photo libraries available. 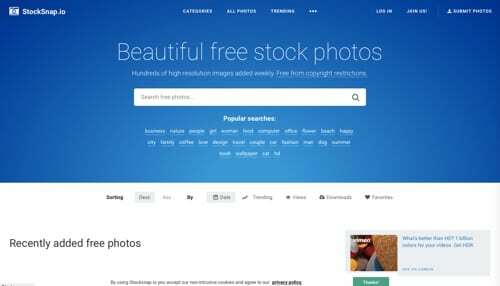 Here is a list of sites to find free stock photos for commercial use. 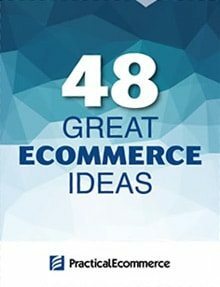 There are small, curated collections as well as large stock-image search engines. 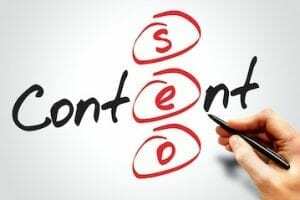 Be sure to verify the licensing of any content before using. 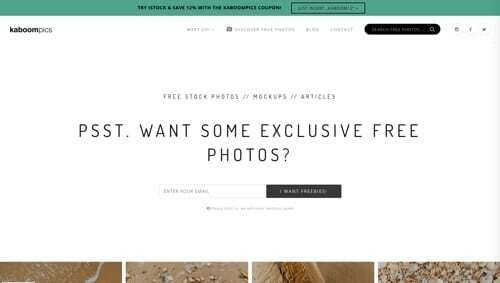 Burst is a free stock photo platform that is powered by Shopify. Use these free photos on your online store, product packaging, or anywhere else you’d like. 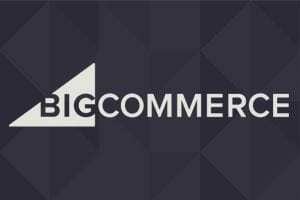 The library was created and curated for Shopify stores, so it is a helpful resource for online merchants, with categories such as shopping, holidays, food, jewelry, and products. Unsplash started as a simple tool to provide creators with usable imagery. Today, Unsplash has a huge library of over 600,000 high-resolution images along with an active community. 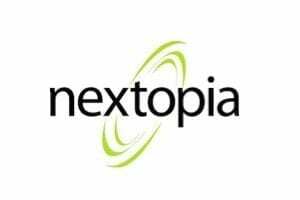 Join and follow photographers you like. 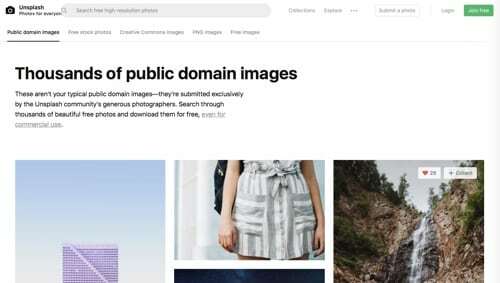 Unsplash has been used in projects such as Apple keynotes and the default theme shipped with WordPress. Freerange Stock was formed with the goal to provide quality stock photos for commercial and non-commercial use. 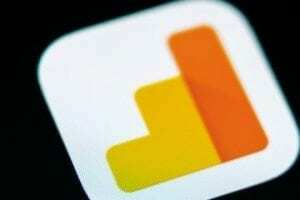 The site is supported by advertising revenue. Images are shot by Freerange Stock, drawn from Freerange archives, or contributed by the community of photographers. 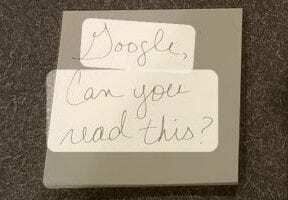 Images provided directly by Freerange Stock are either digitally photographed on Canon DSLR cameras, or they are a high-resolution (4,000 dpi) Nikon scan of an original 35 mm slide. 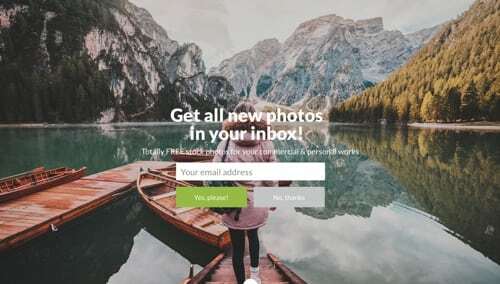 Picjumbo is a free stock photo site created in 2013 by designer and photographer Viktor Hanacek when the existing stock photo sites rejected his images for “lack of quality.” Browse by popular tags, or subscribe for weekly updates on new photos. Over 6 million images have been downloaded from Picjumbo. Fancycrave was started in 2015 by Igor Ovsyannykov when he started giving away two free photos from his travels. 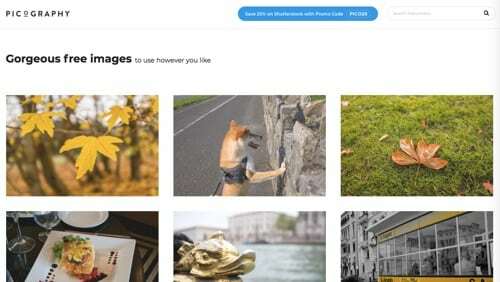 Today, users can download curated photo packs, including travel destinations and topics such as vintage items, creative market, horses, and more. Fancycrave also offers a premium membership for access to over 900 images, plus new photo packs every month. 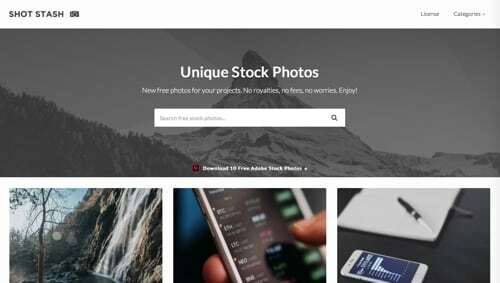 StockSnap.io curates quality images from a pool of submissions, then make them available for browsing, download, and use — all for free. To keep standards high, new photographers are limited to five submissions. StockSnap’s tag-based category system can help browse and locate suitable images. SplitShire is a collection of photos assembled from a decade of photography. 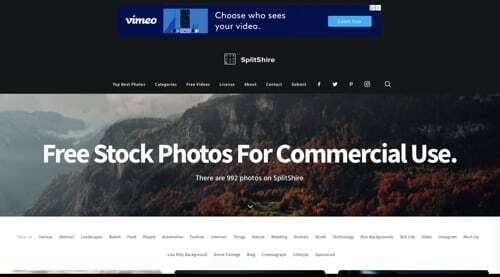 Started with 100 high-resolution images, there are approximately 1,000 photos on SplitShire. 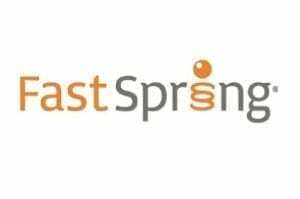 The site has had over 2 million downloads and 6 million page views. 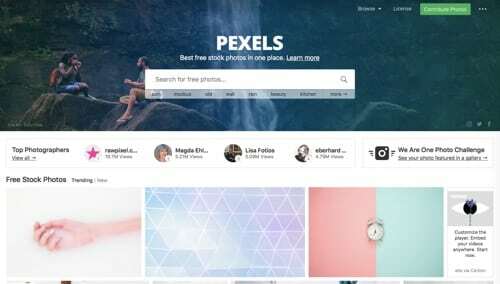 Pexels provides quality, free stock photos, uploaded by users or sourced from free-image websites. There are hundreds of thousands of photos available. All photos are tagged, searchable, and easy to find. 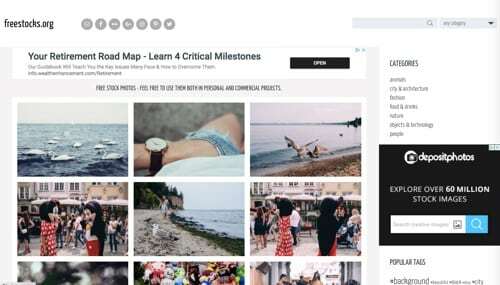 Gratisography is the world’s quirkiest collection of high-resolution free stock images, comprised of photos you won’t find anywhere else. To become a Gratisography image, a picture must have something unique. 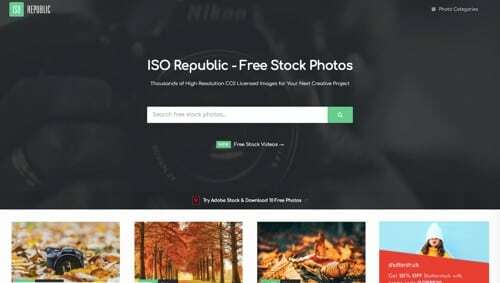 ISO Republic provides free stock photos for creative professionals. It has published over 3,000 licensed images, with more added every week. 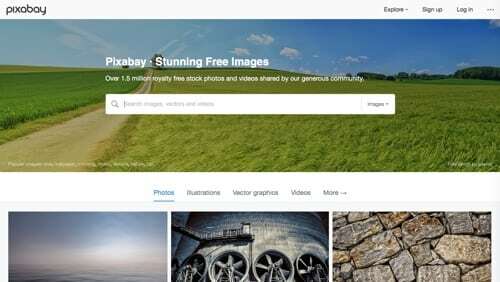 Pixabay is a community of creatives who share copyright free images and videos. 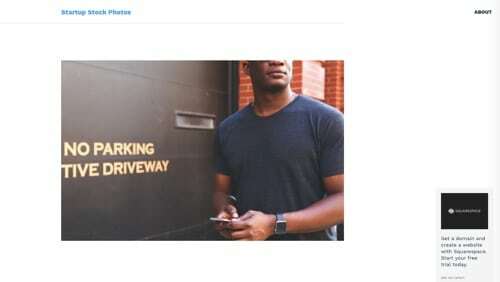 It has over 1.5 million stock photos and videos. All contents are safe to use without asking for permission or giving credit to the artist, even for commercial purposes. 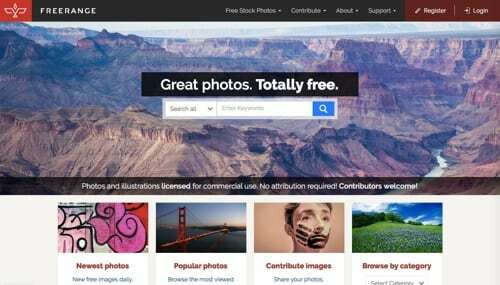 Freestocks.org is a library of 1,500 quality, free images created by three photographers (with occasional contributions from two other friends) with regular jobs. Categories include animals, city and architecture, fashion, food and drinks, nature, objects and technology, and people. 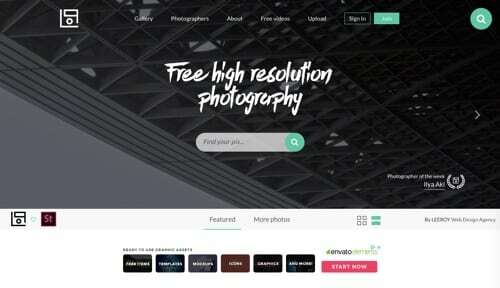 Picography is a curated collection of striking high-resolution images. Browse or search by tags. Kaboompics is a collection of free, quality images (over 8,000), with new ones added daily. The site also has a blog with facts about the photography, reports for photographic adventures, and more. 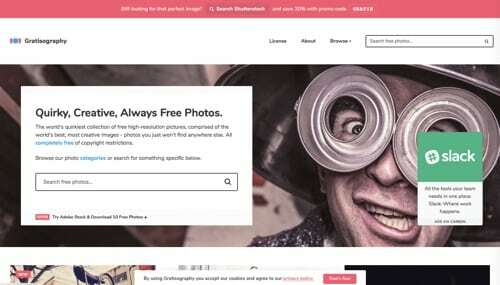 Skitterphoto launched in 2014 by passionate amateur photographers from The Netherlands. 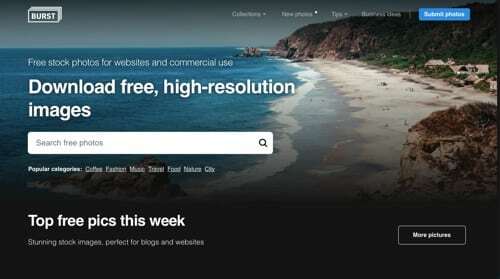 The site offers photographers around the world the opportunity to show off and share their work. 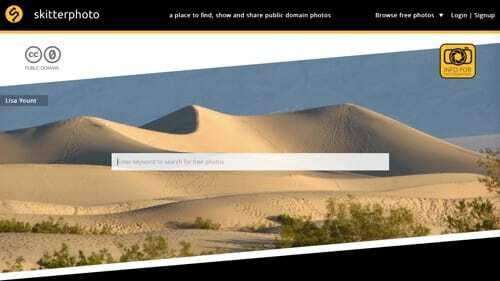 Browse by category, featured images, or admin picks. 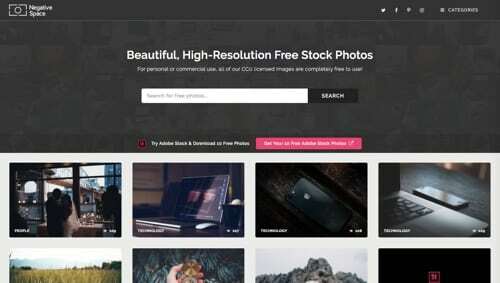 Shot Stash is a small, independent, free stock photo site. 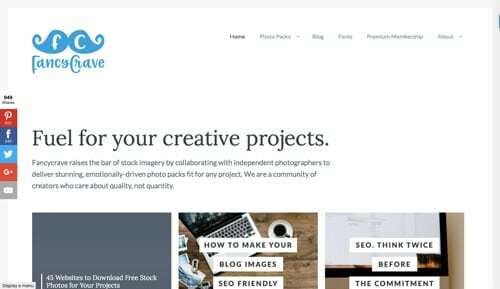 Its mission is to create and offer for free a carefully curated collection of beautiful stock images for private and commercial use. Negative Space was created to give photographers a platform to share their high-resolution photography. Categories include abstract, animals, architecture, business, black and white, food, landscapes, nature, people, sport, street, technology, transport, and work. 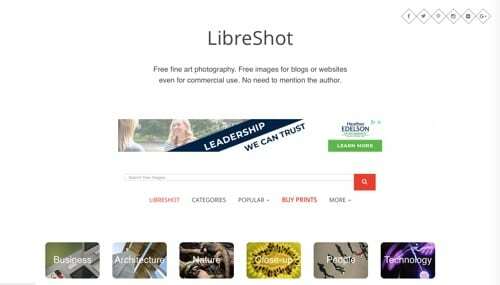 LibreShot provides free images for private and commercial use. 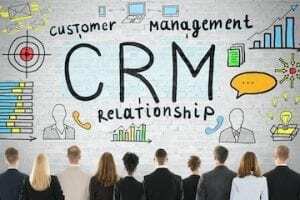 Categories include business, architecture, nature, people, technology, and close-up. All images are by Martin Vorel, a photographer and search engine marketing consultant. 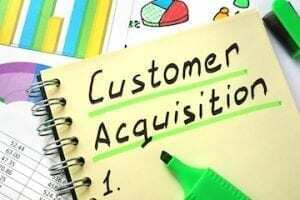 Startup Stock Photos is a library of free images that relate to a startup business. Many of the images involve laptops, dry-erase boards, office space, and cityscape. 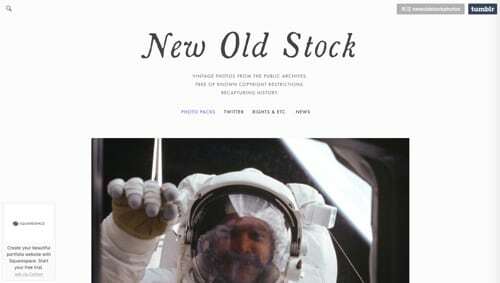 New Old Stock is a library of vintage photos and photo collections from the public archives. There are color and black and white images. 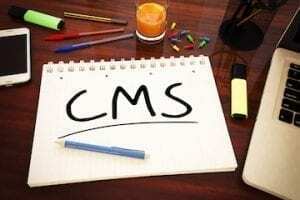 Images are free of known copyright restrictions.